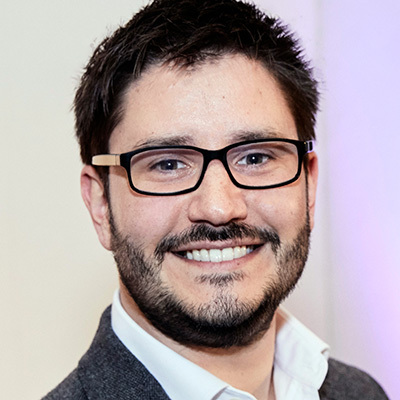 Alex is a retail, hospitality and technology expert, specialising in the practical application of the latest innovations to solve the biggest challenges in customer service, inspiring audiences about the future of retail and hospitality, and making complex technology trends understandable for non-technical audiences. As GDR’s SVP of Global Innovation, Alex leads their digital transformation consulting, helping a global client base of FTSE 100 and S&P 500 companies turn trend insights into applied strategies. Prior to joining GDR, he spent 7 years as the Consultancy Director at technology firm Red Ant, designing and delivering award-winning solutions, innovation and strategy from boardroom to stockroom for some of the UK’s largest and most forward-thinking organisations, and before that founded an app development agency in the early days of the iPhone. He is the author of white papers and articles for Retail Week, The Guardian, The Times and Internet Retailing, and occasionally serves as a guest retail expert for the BBC. He founded the Connected Retail Index, a technology scorecard for over 200 retailers, has designed applications with millions of monthly active users, and led the team that won the IBM Watson Global Developer Challenge. He has a degree in Psychology from Warwick University, where he specialised in user experience, user behaviour, sociobiology and applied neuroscience.